We offer a full selection of the large, overbuilt Reeve Umnumzaan folding knives. 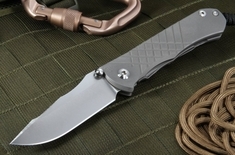 The Chris Reeve Umnumzaan is a full-size folding knife that is ready to handle the toughest tasks, aptly named after the Zulu word for 'The Boss'. 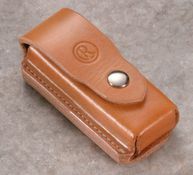 The blade length of this folder is a robust 3.675" and comes in with a weight of 5.0 oz. 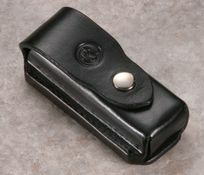 The knife comes in both a drop point blade standard and the optional umnumzaan tanto blade shape. 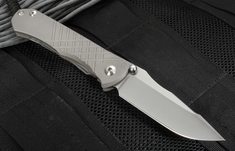 The "Zaan" folding knife has well thought-out features; an overbuilt pivot, the iconic frame lock and large machined handles of aerospace grade titanium. 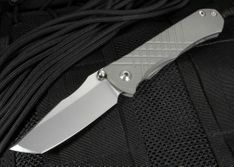 If you are looking for the Reeve knife for tactical and field tasks, you have found your knife.